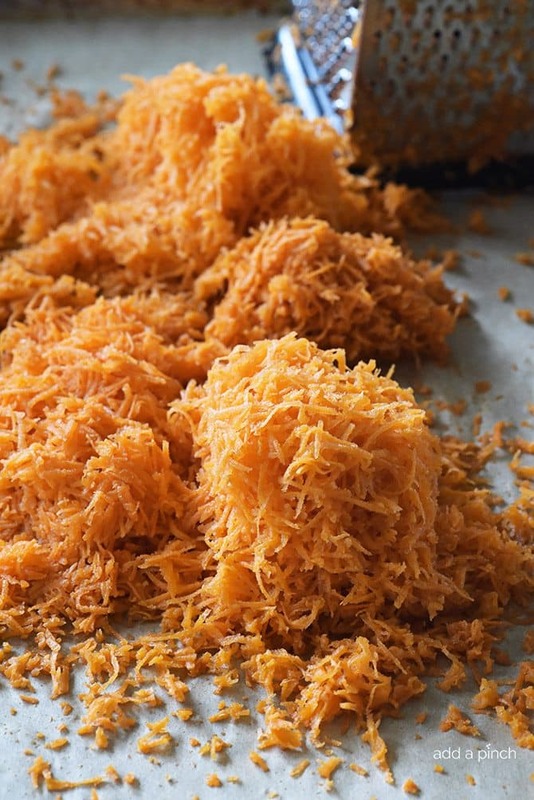 Are you are carrot cake lover? I have to admit that I haven’t been a fan of it until about a year or so ago. Until then, I’d always thought of the carrot cake I’d had as a child where I had to quickly chase it with something to drink. From that point forward, I’d politely refuse it. But then, Bart let me know that carrot cake was one of his favorite cakes and I knew I had to make one that we both enjoyed! And friends, this is it. Well, actually, the big layered, gorgeous version was first, but this one quickly followed. 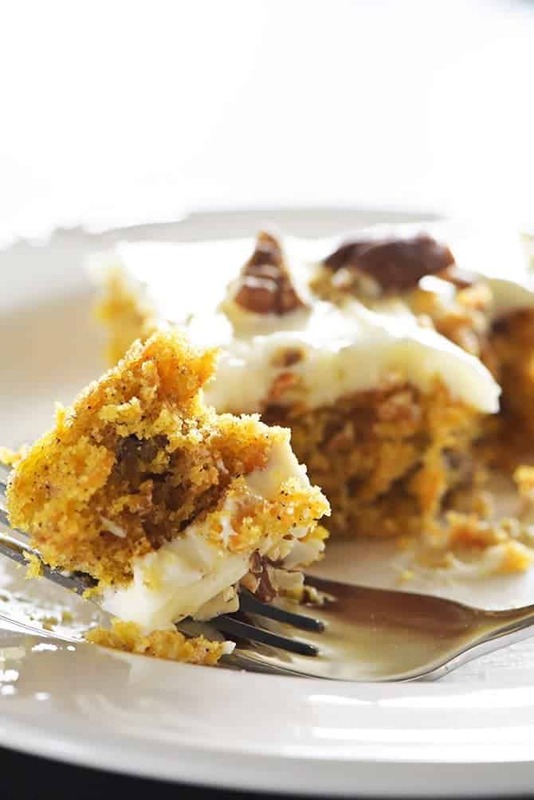 I can’t say enough about how easy and delicious this sheet pan carrot cake is to make. 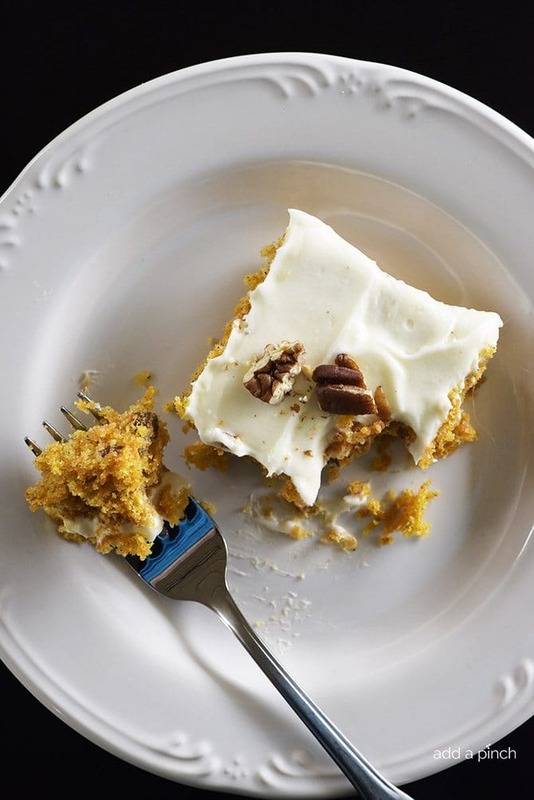 It is perfect for when you need carrot cake for a crowd are transporting one to a potluck or get together or just don’t want to hassle with making a layered version. While I think this cake is absolutely perfect for Easter, it really is a favorite anytime! Seriously, the most time-consuming part of the whole cake making process is grating the carrots and those are done in a flash. I use my favorite box grater, but you can absolutely grate them up in no time with your food processor as well. 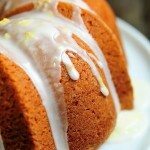 The smells of cinnamon and ginger are just mesmerizing as this cake is baking, but the real winner is how it tastes! The combination of flavors just melds together perfectly in this recipe! And it has such a tender crumb to it! 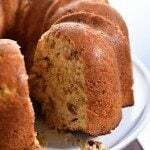 I love to top it with my favorite, fluffy cream cheese frosting and then a sprinkling of toasted pecans. Here’s my Carrot Cake Sheet Cake recipe. I hope you love it as much as we do! 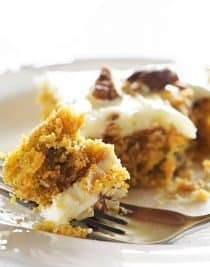 Easy Carrot Cake Sheet Cake Recipe - This Easy Carrot Cake Sheet Cake recipe comes together easily and bakes into a beautiful, delicious carrot cake! 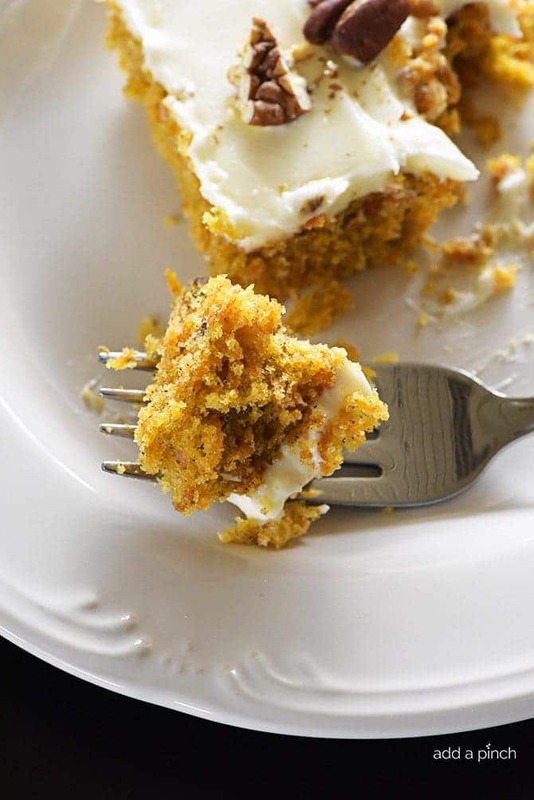 Topped with a fluffy cream cheese frosting, this carrot cake is one everyone asks for the recipe! Preheat oven 350º F. Coat one baking sheet (18x13) with butter or shortening and lightly dust with flour to prevent the cake from sticking while baking. Alternately, coat well with baking spray. Fold in carrots, 1 cup of pecans and spread into the prepared baking sheet. Bake until cakes spring back when gently touched in the center and the edges begin to turn loose from the sides of the pan, about 30 - 40 minutes. Remove from the oven and allow to cool in the sheet pan on a wire rack for about 5 minutes. 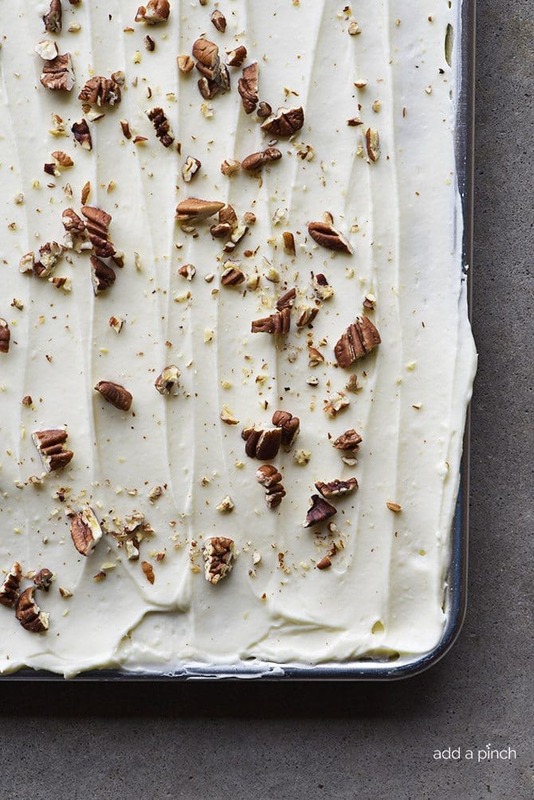 Frost cake with cream cheese frosting and sprinkle with toasted pecans. Can I eat the whole thing???????? I hope you love it, Jasmine! It is hands-down my husband’s favorite, too! This recipe sounds delicious; can’t wait to try it! 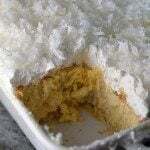 I have never used coconut oil in a cake. Although the recipe gives 3 options, do you prefer using coconut oil? If so, do you have a favorite brand? I find myself looking at the many choices and can never decide which one to buy since they differ so much in price and looks. Thanks, and I adore your new cookbook! 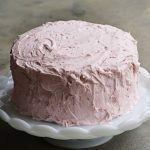 This cake is so good – I am excited for you to try it! As far as coconut oil, I always use an organic, unrefined, virgin coconut oil. I have used of couple of brands, but I do try to stick to that type. I am so happy you like the cookbook! I hope you enjoy the recipes! Good answer! If I answered Beverly’s question, THAT would be my answer too! Thank you for that! Organic, unrefined, virgin….or even “extra virgin”…..perfect! Walmart, Target, most every store sells them, or you can put those terms with “coconut oil”, in your search box, to find some to buy online, but then you’d have to pay shipping. There’s health stores, like GNC, or even Vitamin Shoppe in every town, pretty much, where you can find organic products too. If everyone would care about their health, they would leave those GMO’s, and chemicalized foods alone, and eat and drink only organic! I did, and it changed my life! Can I use a 13 x 9 pan? I have not made this in a 9×13 pan. The baking time will be different for that size pan than the time in the recipe. I hope you enjoy the cake! Thanks so much! I hope you enjoy it, Jessi! It’s so delicious and perfect for spring! Thanks! I’m anxious to try this. I’ve gladly taken on the task of supplying my grandma’s 85th birthday party with cupcakes. I’ve used your best chocolate cake and best white cake and your frosting recipes with nothing but success and rave reviews for the last couple years. I came here hoping you’d have a carrot cake recipe and it’s absolute kismet that you just posted it! The stars have aligned to make grandma’s party a success 🙂 have you made this into cupcakes? Any idea how many I would get from the recipe as is? Thank you so much!! I’m so happy you enjoy the Best Chocolate and White Cakes! What a neat coincidence you needed the carrot cake recipe and saw this! I’ve not baked cupcakes from this yet, but I think they’d be delicious! 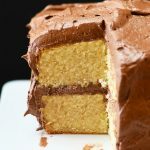 I have a layer Favorite Carrot Cake recipe as well as this sheet cake recipe if you’d like to take a look. The general rule of thumb is the batter from one 9 inch layer yields approximately 12 cupcakes – give or take – depending on the type of cake (density of the batter etc). You probably know this already, but it is a good idea to bake a test cupcake to find the baking time needed before baking them all. And use the same oven temperature as the cake recipe. I hope this helps you and that your grandmother has a wonderful birthday party! Please tell her Happy Birthday from me! I am trying this for the first time. I was planning to use 2 9×13 pans since I do not have a 13×18 sheet pan. It doesn’t seem like there is enough to split it in two. 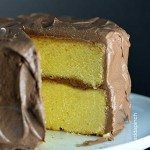 Does it puff up a lot or is it a really thin cake? Hi Robyn! I love all your cakes. I’ve made this as the layer cake, and would like to make it for my future daughter in law’s bridal shower. She loved the layer carrot cake. So I was thinking of making 2 cakes and putting them together side by side on a foil covered cardboard. So my question is, how easy is it to get the cake out of the large pan, all in one piece?!? Also I think my family loves this cake and the red velvet – as I double the cream cheese frosting! The best chocolate cake ever is also a huge family favorite! That espresso powder- yum! Also love all your recipes and your book! I’m so happy you enjoy the recipes and so appreciate your support for my book! I’m glad you enjoy it as well! I’ve not done exactly what you are describing with this particular cake, but I would think if you take extra care preparing the cake pans and how you cool it, it should come out with out breaking. I’d suggest prepare the cake pan very well, bake, then cool in cake pan 10 minutes, then using a cooling rack larger than the sheet pan, place over top, flip at once onto the cooling rack and finish cooling completely. Then after cake is completely cool, use same maneuver with your cake platform over the cooled cake on the cooling rack, flip at once onto that platform and decorate. I certainly hope this works as you desire and hope this helps! Best wishes to your family with the upcoming wedding!